Almost done reading. What next? I should complete the reading for Kaplan tonight and the Kaplan experience this week. I figure I’ll spend the next 3 weeks on CFAI blue box examples and on EOC’s. Then take a Kaplan Mock to benchmark myself, then drill qbank questions for 4 weeks, then finish with more mock exams. I’ll do CFAI exams first. Sounds like a really good plan! 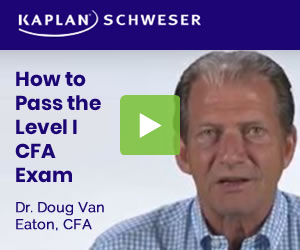 Personally I just finished Kaplan readings on L3, and am spending the next month doing blue box CFAI and CFAI EOC for all topics (sprinkling in Kaplan module questions I omitted on my first readthrough). Only change I would make is instead of a 4 week tackle of troubled areas based off one mock (sample size bias? lol), I would target 2-4 topics (lets say FI, FRA, and Alternatives) you really struggled with, master them, and then do another mock (well, half mock, 6 hours is too much). After you’re pretty comfy in those 4 weeks, I agree with CFAI mock and other Kaplan mocks, and after that just keep repeating and looking for tough questions (CFAI topic tests are really good for some tough ones). We’re in the same boat ! I started my studies five months back. 2 hours a day, and Voila - 300 up. Target is to put in 200 more hours in revising + solving eoc + second revision + mocks.